Limited Spots – Register Now! YES! I Want to Rejuvenate - Click Here! Two 50 Minute Personal Consultations with Marnie. Marnie will guide you through a step-by-step process of Rejuvenating your mind-body-spirit. Your personal consultations are customized for your specific needs and desires. This program will increase your understanding of the principles of ultimate rejuvenation. 3 topic specific PDF manuscripts detail and explain the principles of ultimate rejuvenation. You will gain an overview of how the process actually works. 6 Specific Self-Strengthening & Deletion Experiences designed to remove past and present blockages which are holding you back from achieving ultimate rejuvenation. Marnie leads you through 3 guided Activation sequences set to soothing background music. Complete recordings of the original 7 calls from Marnie's live Ultimate Rejuvenation program. 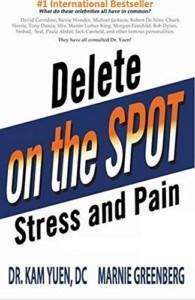 Each call contains an introduction to the week's topic and a group deletion and strengthening section. Marnie covers both general and specific problems and resolves them on the spot! Description: This module reveals the unsurpassed method of halting/reducing/reversing the downslide in appearance, performance and health that accompanies aging. Description: This module reveals the most advanced ways to improve one’s body weight and dispels misinterpretations and misinformation about weight reduction. Description: This module reveals the preeminent method that replaces the need for cosmetic surgery. This module is designed to strengthen your facial structure to ensure you are younger looking. In this module, you will improve your facial features such as puffy eyes, dark circles under the eyes, as well as nose, mouth, lips, teeth, wrinkles, skin elasticity, and loss of collagen. YES! I Want to Rejuvenate- Click Here!